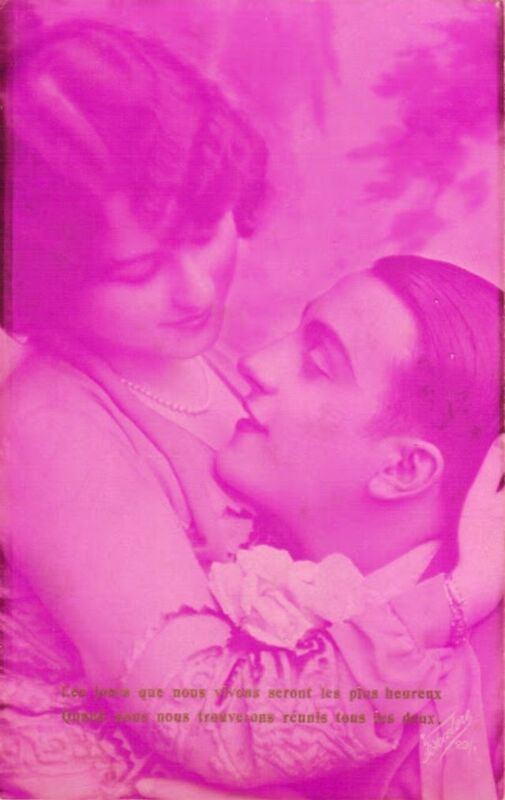 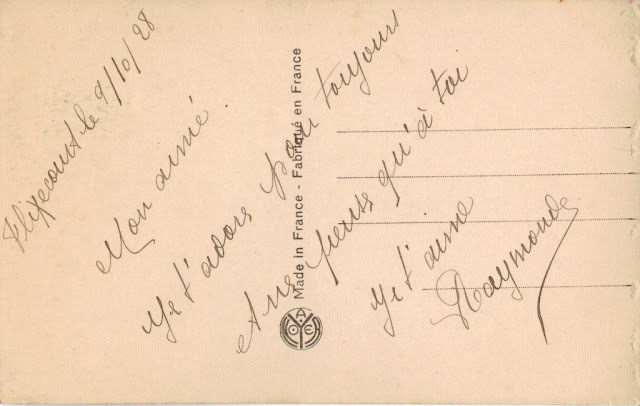 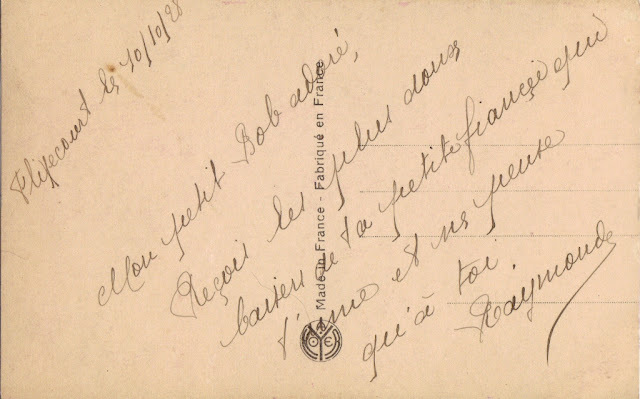 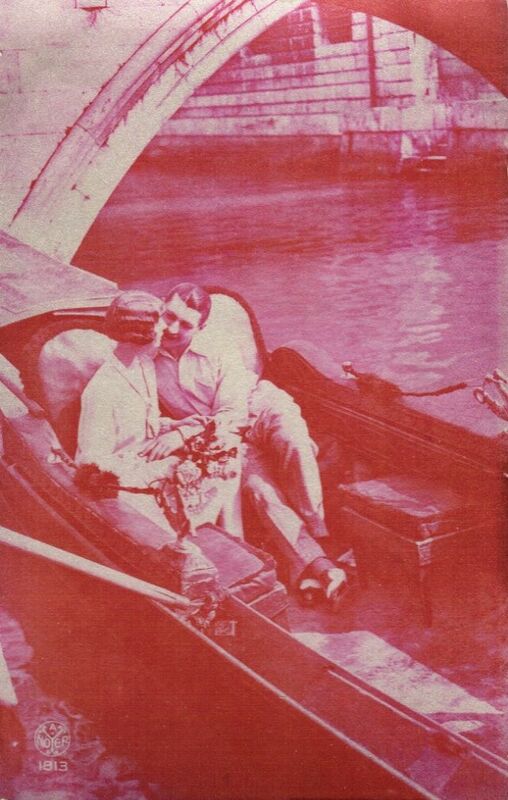 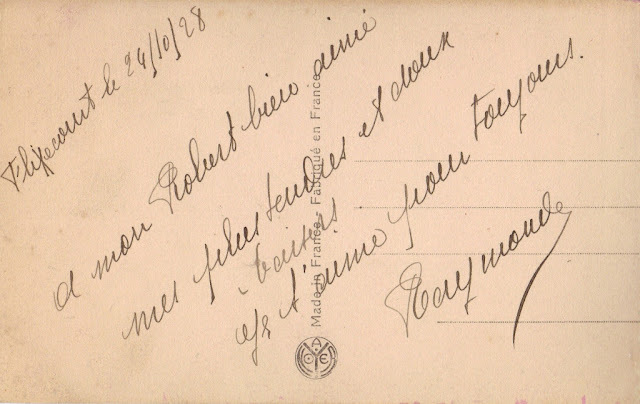 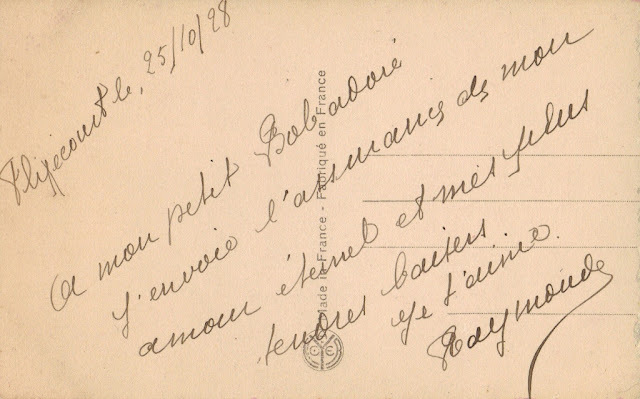 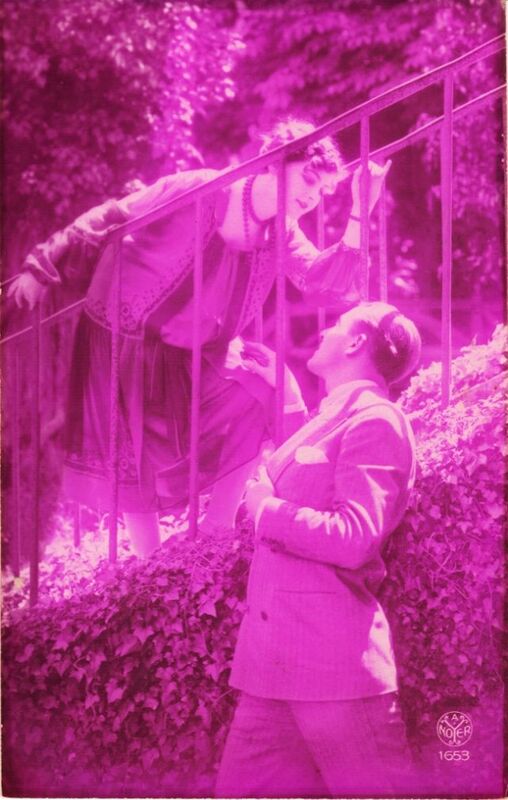 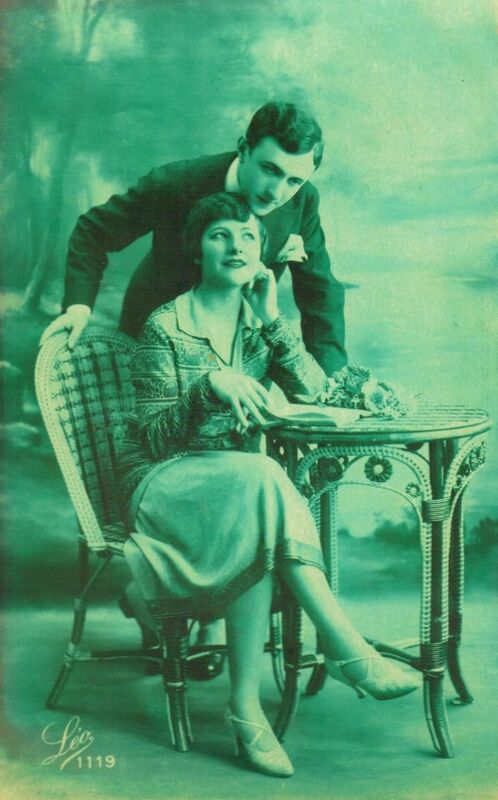 Here's an amazing love postcard set, sent between Robert (also known as Bob) and his girlfriend/fiancee Raymonde in late 1920s France. Both of them loved these cards--they'd send them successive days, or, in once case, many on the same day. 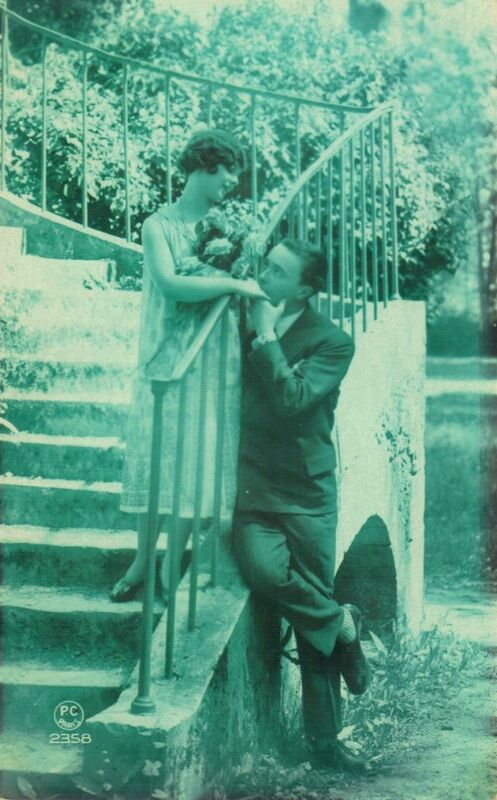 Sometimes several views from the same photoshoot were published as separate cards--Robert and Raymonde would buy a few of these. 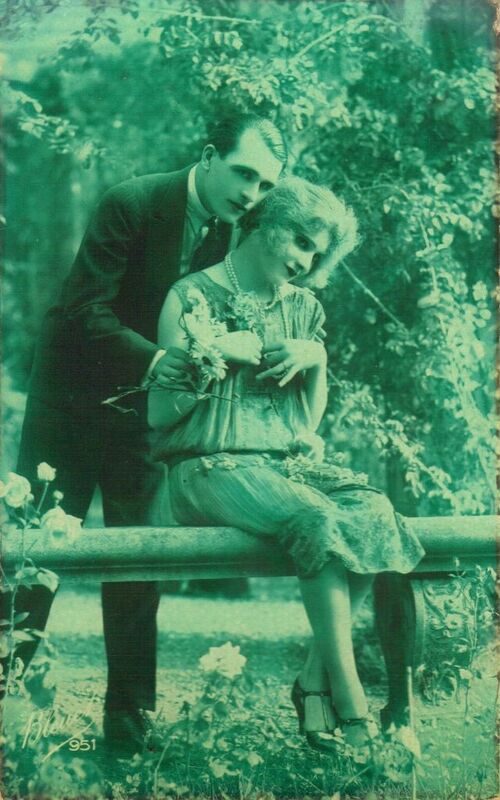 This tinted variety of these cards comes in many colors, but the two of them seem to have especially liked the green and pink ones. 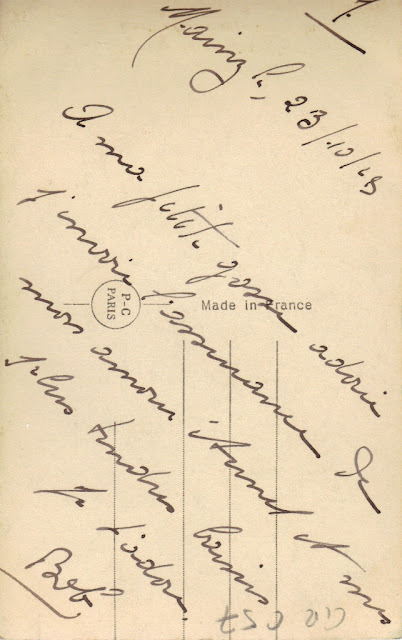 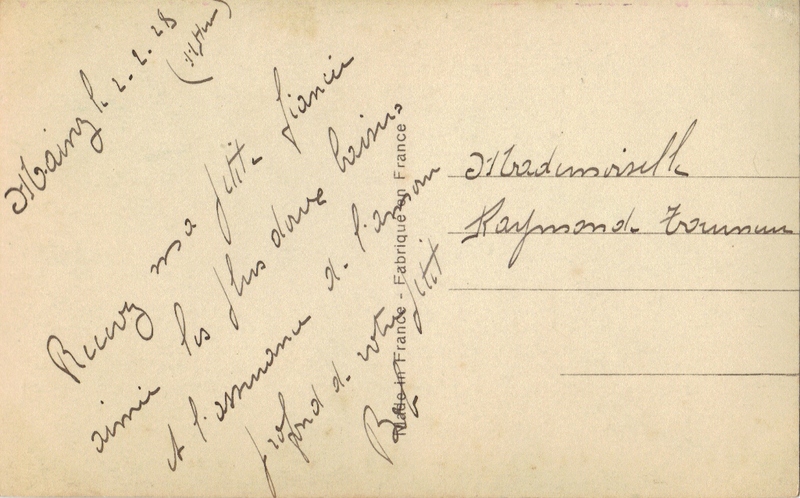 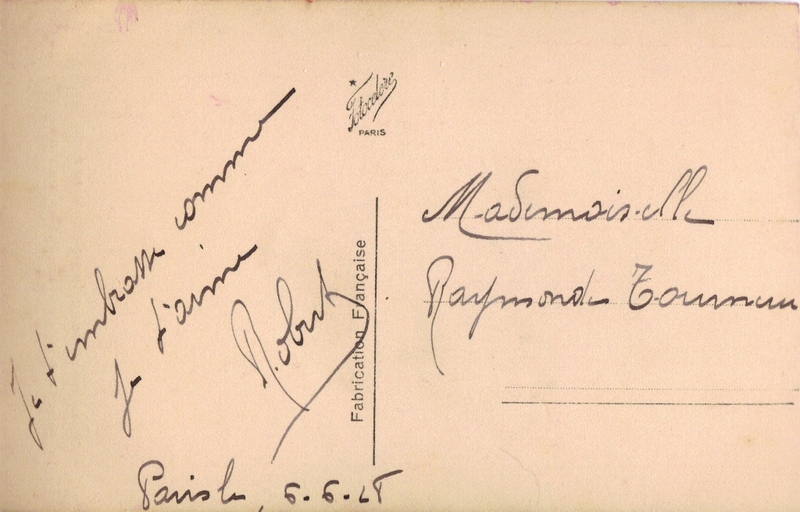 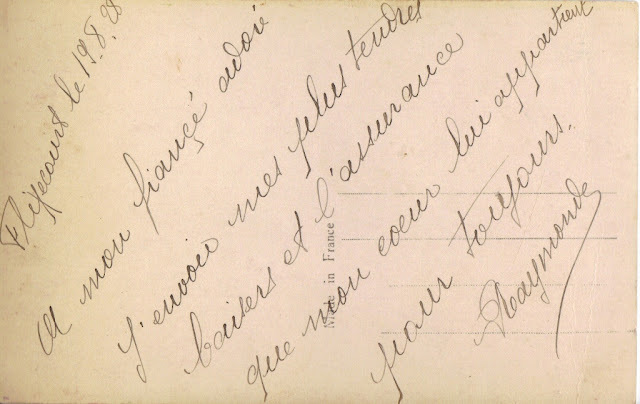 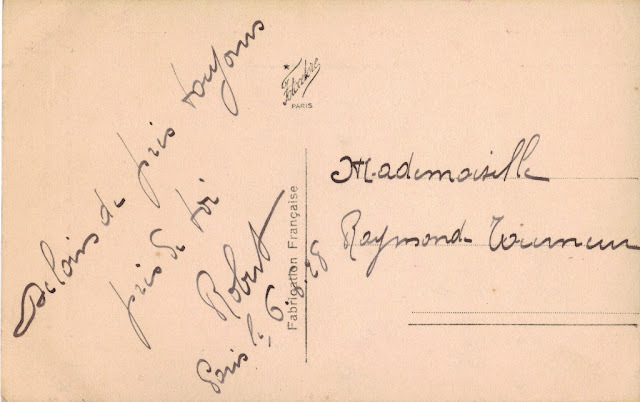 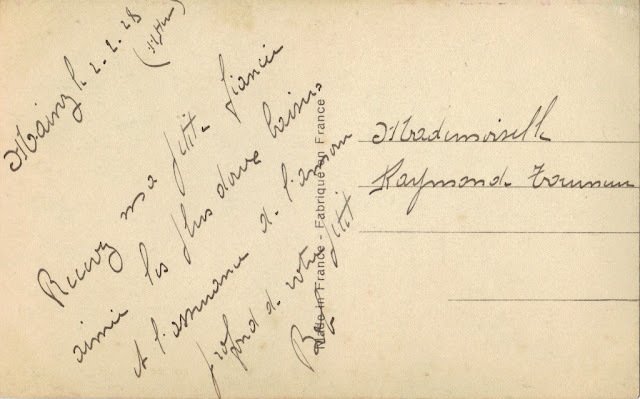 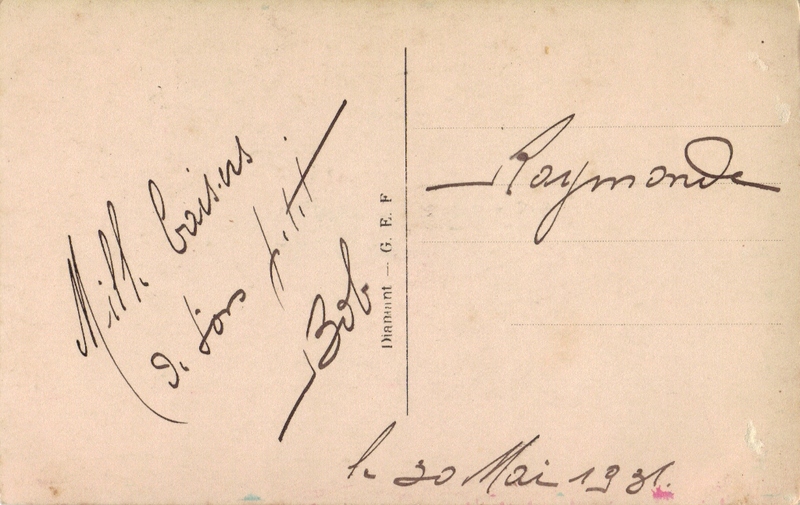 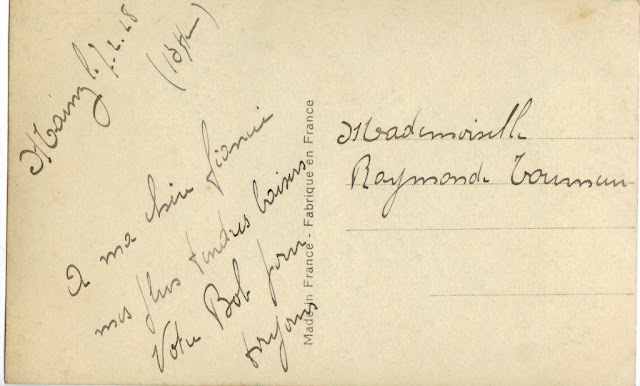 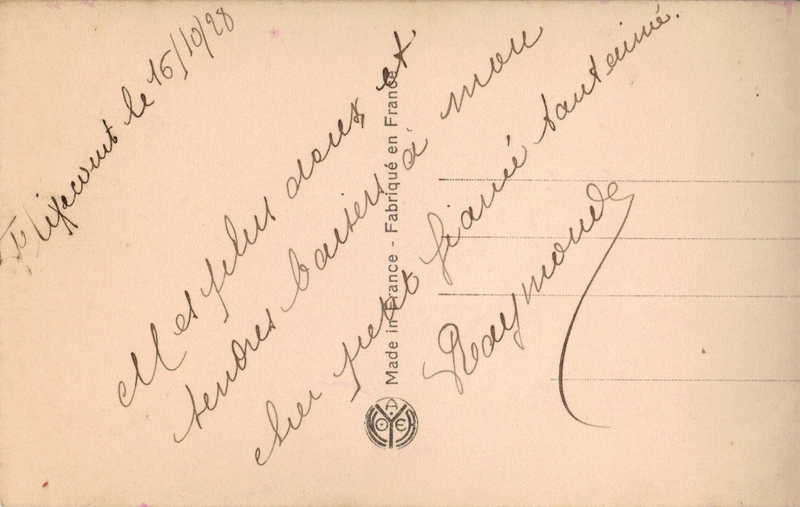 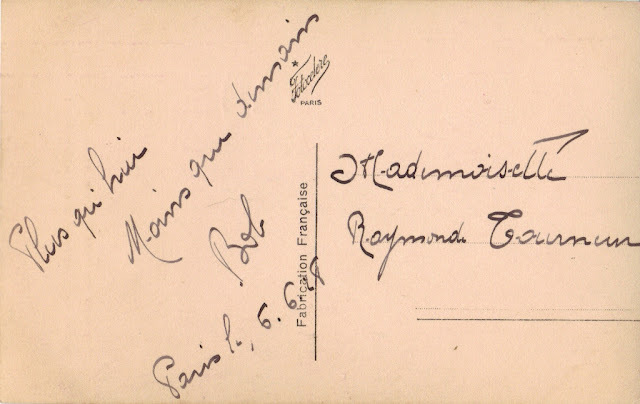 While none are addressed or stamped, it was very common for these kinds of postcards to be put in envelopes (at the time, stamps and postmarks went on the front of the card in France, not good for the picture), and indeed on a few you can see the impression of a postmark through some other paper. 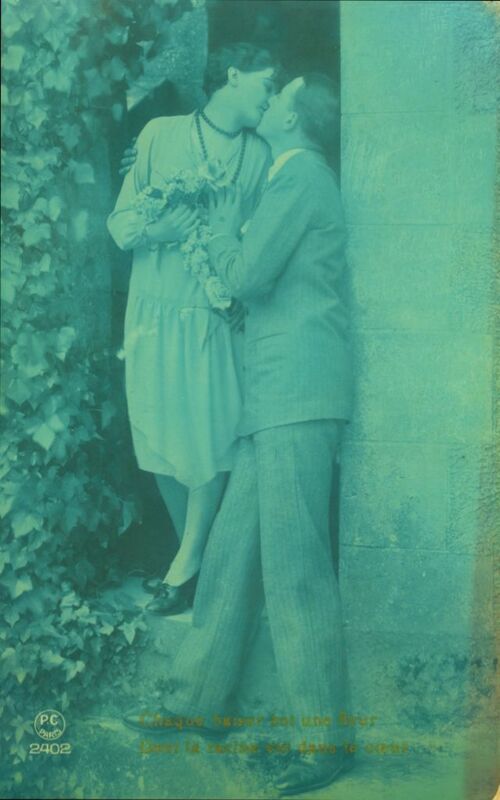 Flixecourt, October 25, 1928. 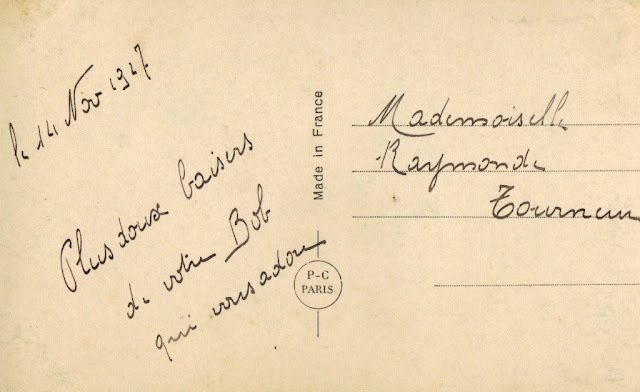 "My beloved little Bob, I send the assurance of my eternal love and my tenderest kisses. I love you. 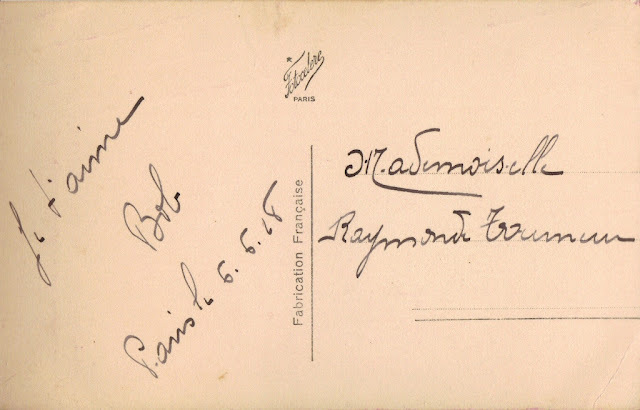 Raymonde."